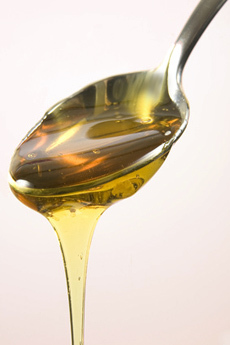 Organic Blue Agave Syrup (or Agave Nectar) is a raw, vegan substitute for sugar and honey. Smoother, sweeter, and lower on the Glycemic Index, it's a favorite of those who prefer sustainable energy vs. the post-sugar blues. This mild-tasting syrup is also one-of-a-kind: truly the "rawest," lowest-temperature processed agave on the market today. Most agave syrups are cooked at high temperatures, or even boiled, while ours is organic and is carefully produced through a unique low-temperature process that protects nutrients, enzymes, and subtle flavors. Made exclusively from the finest Blue Agave plants, this syrup is perfect for raw dessert recipes, smoothies, teas, and many more delicious creations. Disagreements about healthy eating rage on regarding just about every food and way of eating there is, and we usually try to stay out of those debates and just enjoy what has proven to work for us... However, since there are conflicting opinions about agave nectar these days and whether or not it is a good natural sweetener alternative, we thought we'd better pipe in a word or two. Many health experts (including Dr. Andrew Weil) think it's a great natural alternative and use it themselves. Those against agave nectar say it is not any better than other alternatives, or is possibly worse. We advise you to do your own research about it wisely, and be warned that much of the information proliferated around the internet against agave is being fueled by an industry that would obviously not like to see agave maintain popularity - the corn industry (do some research there, too, if you don't know about that). Remember that it's not just which sweetener you use, but how much you use! One of the troubles with natural sweeteners is that people think if they're using a natural sweetener, it is "good" for them, so they use it freely and end up consuming much too much sugar. Natural sugar is still sugar (this can even include fruit). So it's not just about what you eat, but also how much of it you eat. Excessive amounts of any sweetener (even natural) can lead to a wide range of health problems. In the meantime, and on a positive note, agave is a natural sweetener alternative for vegans that many people enjoy and say they feel better using. It has a clean, neutral taste (which is a good thing in many recipes and applications), a smooth consistency, and most folks find they don't need to use nearly as much of it as other sweeteners. We feel we have searched out the best agave product on the market and we use it ourselves in our favorite homemade lemonade. Mix all in a large pitcher and serve over ice. Perfect on a hot, sunny day.